shared by Amy Smart over at the Riley Blake blog. Bowl Covers created by Sadie Seasonsgoods using recycled bandana's.....of course any cute fabric would look great. They have taken the sophisticated styling of an adult carryall and scaled it down to kid-size. Feeling like kids have all the fun? Want your very own mini-satchel? Simply lengthen the strap and you're good to go. 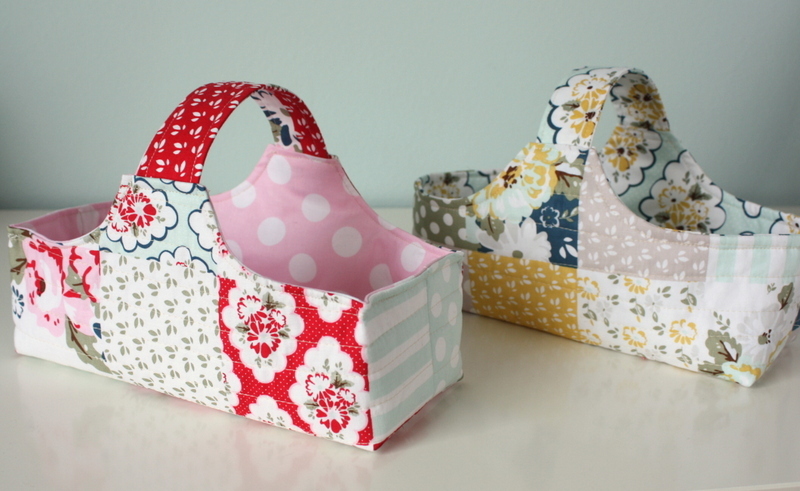 These clever storage baskets are cute and handy. They are also a recycling project. The sides and bottoms of each basket are stiffened with recycled cardboard! They also collapse and fold flat to store.